Cumbres and Toltec scenic railroad train; photo by Michael Rael on Flickr (use permitted with attribution). New Mexico designated the Cumbres and Toltec scenic railroad as the official state train in 2005. Built in the 1880’s, this historic railroad runs 64 miles between Chama, New Mexico and Antonito, Colorado over beautiful mountainous terrain as a tourist attraction for both states. The steam engine locomotives and preserved cars have changed little since their early days and are known as “America’s longest and highest narrow-gauge steam railroad." 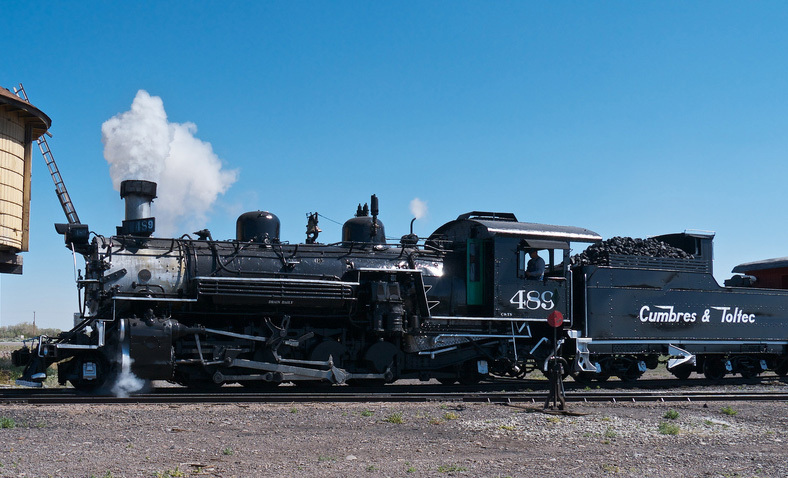 The Cumbres and Toltec scenic railroad is a national historic landmark.